DR MEXICO | A Safe and Affordable place Americans choose for Dentistry in Tijuana. Best dentists in Mexico for dental implants, Tijuana dental tourism. We pride ourselves on offering an amazing of quality of work at very affordable prices. Crowns Get a FREE Quote! Millions of U.S. citizens don’t have dental insurance. Usually, even when they do have coverage, it’s still not enough. 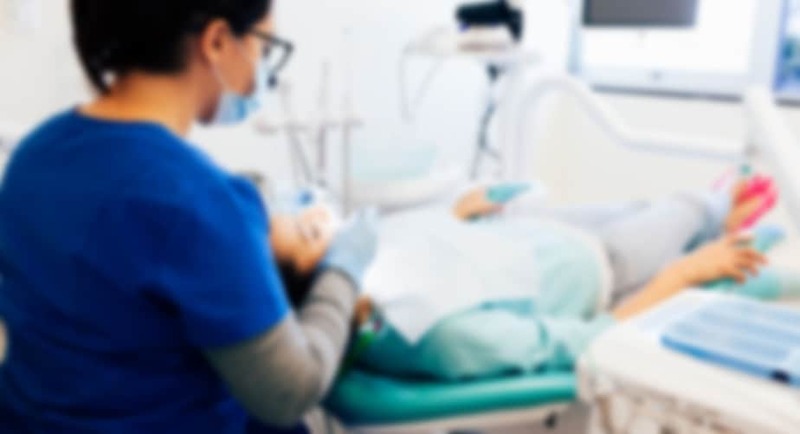 At the same time, the cost of treatment has increased significantly over the last few years, making it much harder for the average person to take advantage of professional dental services. Our Tijuana dental clinic was born out of a passion and commitment to provide excellent dental care at affordable prices, particularly to those living in the United States. We specialize in Dental Tourism in Mexico, and have some of the best dentists in Tijuana. Our core values center around serving the needs of our patients, and we so appreciate their commendations of what we do for them. Most of our patients, after receiving the excellent attention of our Mexico dentists, return regularly to our Tijuana dental clinic, and have recommended us to all of their friends and family. The Best Dental Services for a Fraction of the Cost! At Dr. MEXICO | Tijuana Dentist Center you will pay about 70% less than what you would pay in the USA! Yet our materials, technology, and training are all up to US standards. Our dentists in Mexico are experts on all types of treatments, including dental implants in Mexico, cosmetic dentistry, smile makeovers and more. Check out our amazingly low prices! Used to replace a missing tooth, Bridges are supported on either side by the abutment teeth. Unlike dentures, they are a fixed prosthetic device. Root canals may be needed to save a tooth that is infected, or to address hyper sensitivity resulting from a deep cavity or extensive drilling. Commonly a root canal is complemented with a post addition and core buildup service, which reinforces the tooth, so it won’t eventually break. By removing a portion of the gum, more of the tooth can be exposed. This can be done for cosmetic reasons, or to facilitate the effective placement of a crown. Designed to treat bone loss, grafts are sometimes necessary before an implant can be placed. Various types of bone grafts available, depending on need. A straightforward extraction can be performed to complete remove a damaged tooth. In the case of an impacted wisdom tooth, a surgical extraction is needed. Matched to the color of your teeth, composite fillings are made from a resin material that is hardened through the use of an ultraviolet light. Combining the use of a bleaching agent with laser light activation, laser whitening offers dramatic results in a very short period of time. Dental Implants are a cutting-edge technology, offering a superior method for tooth replacement. Our implants are guaranteed for life. Achieved through the use of bridges, crowns, and/or veneers, a smile makeover can dramatically improve the aesthetics of your smile. As they are only placed on the front surfaces of teeth, Veneers are for cosmetic purposes only. They alter the shape of a tooth and aesthetically enhance a smile. Supported by four or more dental implants, a fixed dental appliance is a permanent denture that feels more like natural teeth than a traditional denture. A good choice for tooth replacement when an efficient and economical method is required, removable dentures can replace some or all of the teeth on the arch. Shaped like a tooth, crowns completely cover the visible portion of a tooth or implant. They are used to restore shape, appearance, strength and functionality. and then finished in our lab. Digital dentistry allows us to not only do the work more quickly, but also with a very high degree of accuracy. The result is the best possible smile, in the least amount of time. At Dr Mexico we utilize amazing advancements in dental care, all of which is now possible thanks to the evolution of science and computer-aided surgical techniques. From simple implant surgery, up to a full oral restoration, we use highly sophisticated advanced dental planning software to fabricate a computerized surgical guide. The CT scanning fully recreates a three-dimensional surgical site, and the 3D printed surgical guide (or template), insures that the implant is precisely placed in the optimal position. This maximizes the available bone for the implants, and allows for less healing time. We use the most cutting-edge materials, tools and techniques. The results are a beautiful, healthy smile and much improved self-confidence. In the case of denture wearers, we can often eliminate the denture, placing a solid zirconia bridge that is fixed in place. When the patient comes to the clinic, after a full evaluation, we can give them the various options for tooth replacement with dental implants, or with fixed bridges or dentures, along with the prices, so that the patient fully understands, and can make decisions based on both what is best for their dental health, and what fits into their budget. The good thing is, here in Mexico, the costs for dental treatments are much more affordable, so that there are more feasible options available to the patients. “I have had more than my share of time in a dentist’s chair, and have been with both US and Mexican dentists. Most people don’t believe me, but I have had much better dental treatments in Mexico. A couple of crowns put on in the US had to be redone after two years. After a Mexican dentist redid them, they are still very good 8 years later. I am sold on the quality of the dental work in Mexico. a few years ago, we moved from AZ to CA, and I started going to Tijuana Dentist Center in Tijuana. I have been very happy with the dentists at this clinic. I recently had to bring my son here, and he was very frightened at the idea of someone working in his mouth. However, Dr. Miyano soon had won his confidence with his gentle touch. Thanks, Dr. Miyano and Staff for taking such good care of us!” – Maria, San Ysidro, CA. We guarantee our workmanship and materials, and will fix any work here in our clinic. We will make things right, and stand behind our dental work. This guarantee covers defects in the materials that become evident later on, and any problems that might result, like a crown coming off, a crown or a denture that might need adjustment, or a procedure that wasn’t done properly and must be repeated. We will not charge extra for work that is under guarantee. *Our guarantee cannot cover problems that have developed because of an injury, the patient’s poor hygiene, hereditary problems, diseases, or results of other outside factors. **We understand that there is a certain amount of inconvenience and expense in traveling back to Tijuana, to fix a problem under guarantee, but we assume the patient has factored that in, when they chose the savings available for dental work in Tijuana, and they made the choice to come here for dental work. We therefore will not reimburse travel or hotel expenses, if you need to return for work under guarantee. ***If a patient, after dental work is cemented in place, later decides that they want a different color or crown length, they will be charged 1/2 the price of the crowns, to cover the extra costs and lab fees. 01. We are a full service clinic, offering high quality dental treatments. Our Tijuana dentists are highly trained, with a lot of experience. We do everything, from general dentistry, cosmetic smile makeovers, veneers, crowns, root canals, oral surgery, dentures, and dental implants. We use board certified specialists, and our staff are some of the best dentists in Mexico. 02. We are conveniently located. We are in the Zona Rio, the nicest part of Tijuana. If you walk across the border, we will send our driver to meet you, pick you up, and take you to the clinic. If you drive across, we will give you easy directions and meet you. Also, for those who drive into Tijuana, we can supply you with a special pass for the medical lane, which will get you back across the border in 20 minutes. 03. We are in a modern facility. We are not a “hole in the wall” facility. Our clinic is in a modern medical building; we have state of the art equipment, digital x-rays, and are in a very clean and sterile environment. We have recently been inspected by the department of health, and passed with flying colors. 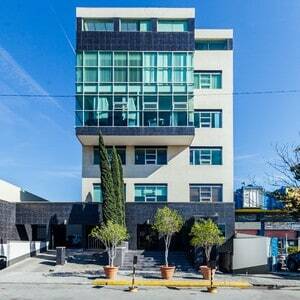 Our Tijuana dental clinic is one of the nicest you will find. 04. We offer a guarantee for dental treatments. Our Tijuana dental lab guarantees all prosthetic devices, crowns, dentures etc., and will replace any defective work at no cost. We also guarantee the workmanship of our Tijuana dentists. If you have any problems, because of something we didn’t do correctly, we promise to fix it here in our clinic. Because of our commitment to you, our Mexico dentists endeavor to do it right in the first place, and don’t cut corners. 05. We have great customer service. Most of our patient coordinators were raised in the USA, and speak perfect English. They understand the special needs of our patients coming from the US, and are committed to taking good care of you. They can organize your transportation from the San Diego airport, as well as transporting you to/from your hotel in Tijuana. In fact, we’ve arranged special discounts for our patients at several local hotels, and our coordinators are happy to make your reservations for you. They can even advise you as to places to dine, and things to see while here in Tijuana for dental tourism.